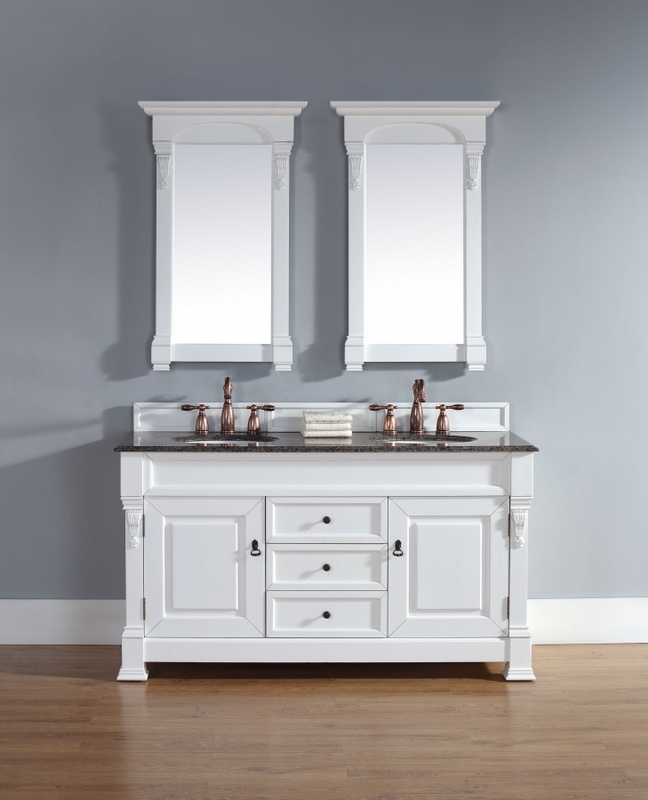 This double sink vanity base has a style with great clean lines that are enhanced by the cottage white finish tone. The carved wood accents add a small elegant touch that is well noticed in this piece. The antiqued brass hardware accents the light finish as well. At five feet in length, this cabinet base has room to include two sinks on the counter top, and there is still plenty of space for use on the counter top. 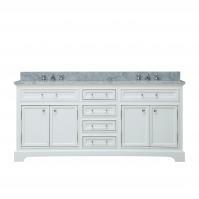 This large size also brings a lot of great storage area with the piece. There are two cabinets, each with a built in shelf and a bank of three drawers in the center of the base. All of this room will come in very handy to keep the bathroom neat and organized. 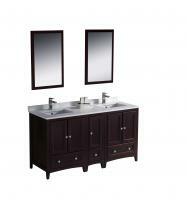 There are several options available for the counter top material and color. It will look great with any one of the choices. 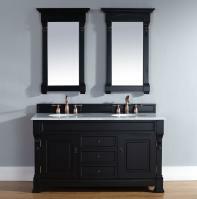 Adding a pair of matching mirrors will really complete the vanity area in the bathroom.